Bolton’s is listed in the top 10 restaurants near Monument by OpenTable. Bolton’s Restaurant is a popular Italian restaurant less than a 5-minute walk from Monument Station which offers a simple combination of fresh Italian food and great service in stylish surroundings. From Monument tube station walk east on Eastcheap towards Gracechurch St, then turn right onto Fenchurch St, turn left onto Lime St and walk 325 ft to find Bolton’s tucked away like a hidden gem. Bolton’s restaurant has long been a favourite of the high-powered bankers and businessmen in the Monument area and has established itself as a place to network and entertain. With its subtle hints of luxury and affluence the Bolton’s restaurant is stylish and timeless, very much like its cuisine. The Bolton’s menu is hearty but elegant. The chefs ensure every dish delights by using the best ingredients, and stunning presentation. Bolton’s is an ideal restaurant to catch up with clients, colleagues and friends, and perfectly suited for anyone who either works or visits the Monument area. Bolton’s is especially popular for visitors and commuters who appreciate Italian gourmet food, wine and excellent service. Bolton’s, philosophy is simple. They are inspired by the finest, freshest ingredients and the most authentic Italian vibrant flavours. Their excellent reputation is built on authentic Italian cuisine and pride themselves on their quality service and food. Bolton’s also offers an intimate dining experience for couples as well as a fantastic venue for private parties such as birthdays, anniversaries, retirement, weddings, engagements, presentations, charity quiz nights and other corporate events. 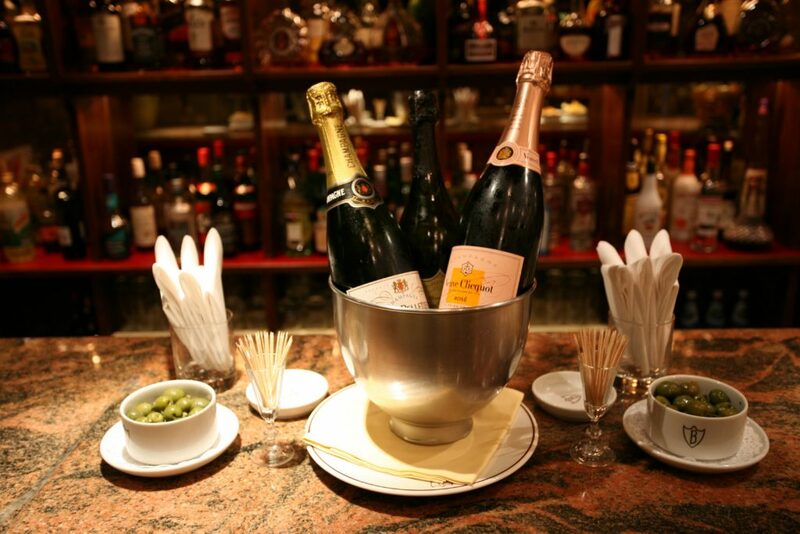 Whether you are entertaining clients in and around Monument or simply soaking in the atmosphere and enjoying superb Italian cuisine, Bolton’s Restaurant you will see why it is a favourite dining establishment near Monument. Your table will be served by attentive staff who understand Italian cuisine and who know their wines, so you can be confident in their guidance. 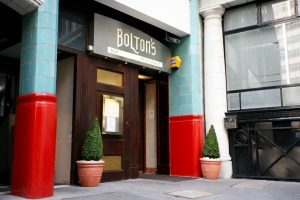 Bolton’s is a fine Italian restaurant in Moorgate with a well-earned reputation for excellence. It has several comfortable, versatile spaces available for Monument visitors, tourists and clients alike. They cater for business lunches, private parties and understand that at times customers appreciate the privacy of their own dining area. Bolton’s has a separate refurbished Private Venetian Room that can accommodate up to 20 people. Guests may choose between a private dining room menu or A la carte menu. Bolton’s restaurant is open Monday to Friday from 11.30am-3.30pm and 6.00pm to 9.45pm, so is a perfect choice for lunch, dinner or drinks near Monument. To make a reservation and book a table at Bolton’s near Monument, London call 020 7929 1981 or visit our website for more details. : Looking for a Restaurant Near Monument?